Je smoel is op/vanuit deze opening erg van belang. - A breakdance crew i saw a few times on this trip, who were spinning around the poles on the metro. - Dinner with MV Carbon and Lary 7, after which i got a tour in Lary's incredible studio/apartment/archive, where he played a bunch of incredible assetates, never released records and recordings, including one of Juta Koether and Tom Verlaine that is about to come out and is quite a beauty. - The No choice gig at Max Fish!!! It was of course full of surprises, even Spaghett would have been spooked! More than at Free Jazz Middelheim last summer at De Nor, a lot of musicians that were accidently there joined the stage, like Darren Ho, Patrick Holmes, Allison of Awesome Colour, Alan Licht, etc. I don't think it was a fun night for the audience, but it definatly was for everyone playing..
Back home, in Antwerp, Yesterday Charline tyberghein's first solo exhibition 'One Trick Phony' opened at Next Door in Antwerp! This weekend / Now the Independent art fair is on in Brussels. tomorrow Nico Dockx and myself will be there to do something with the book Stockmans published by us at 4pm at Mieke Van Schaijk's stand! 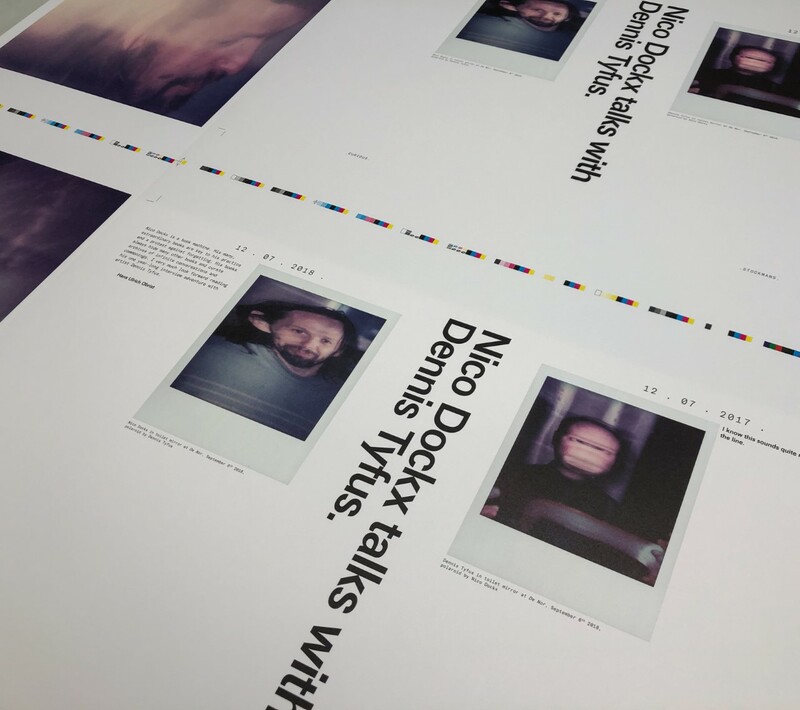 If you are interested in this book, a 886 pages long talk between Nico Dockx and myself (in word and image) ad you would like to pre-order the book, for the price of 50 euros (incl. shipping in Belgium, excl. shipping outside of Belgium) before the book gets distributed in bookshops worldwide for the price of 60 euros, please email nicodockx at yahoo dot com before november 13th !